Artist Cliff Cramp has created three new pieces of art inspired by Star Trek: The Original Series and Star Trek: The Next Generation. 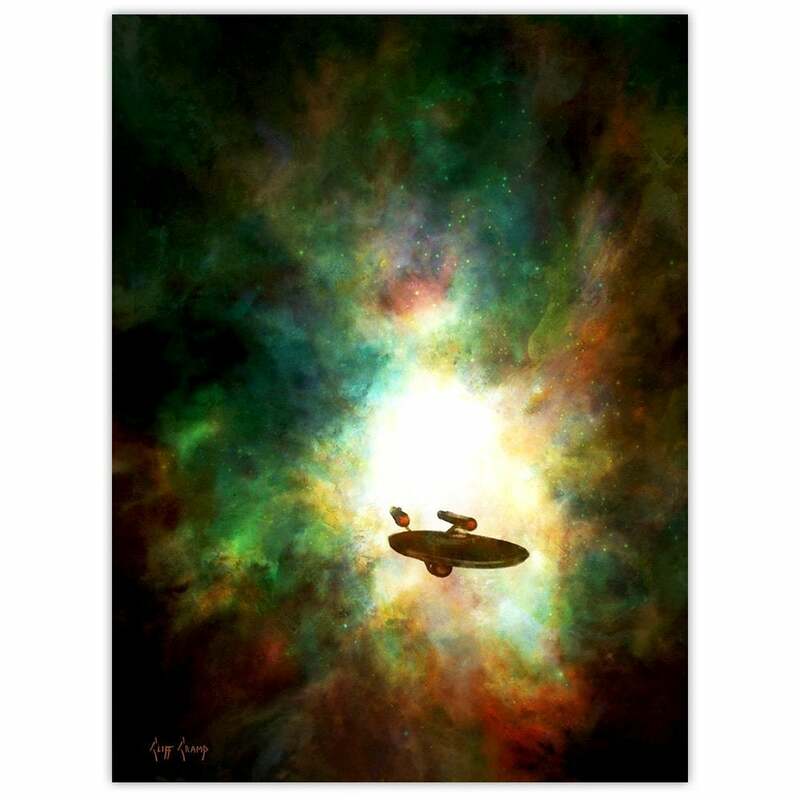 The limited edition prints can be found at Bye Bye, Robot, the same art purveyors who previously released seven Star Trek-inspired art prints. Of Cramp’s prints, Bye Bye, Robot says “his expressive brushstrokes and style bring a traditional feel to modern science-fiction paintings. His hallmark use of deep tones and rich colors make the backgrounds of his compositions as much of a main character as the ships on which he focuses.” Only 75 copies of each print are available. Check them out fast if you’re interested. The first piece is titled "Five Year Mission.” Inspired by The Original Series, the piece features the USS Enterprise traveling the galaxy. 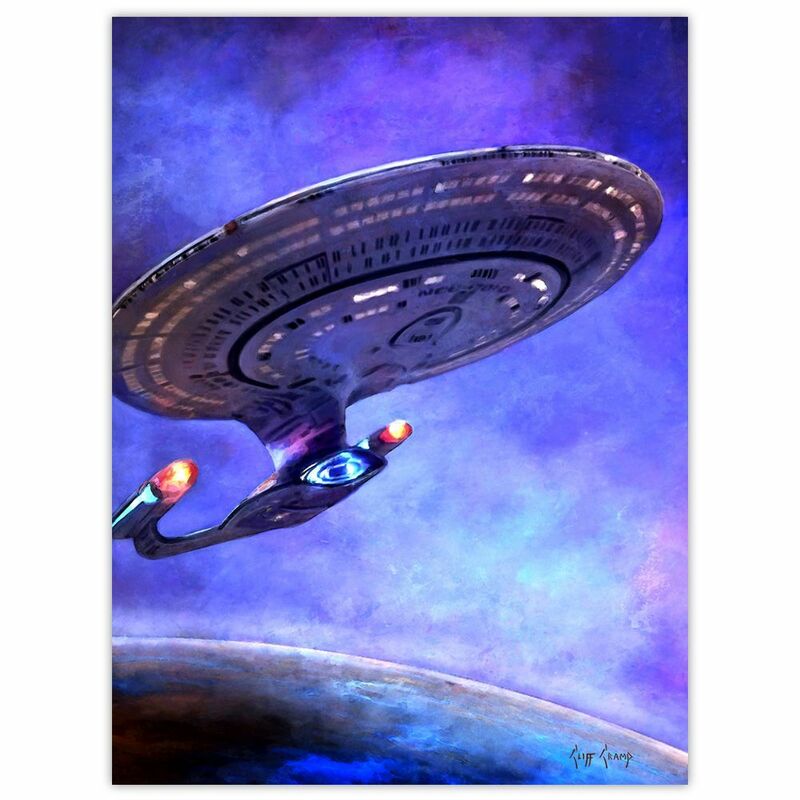 The second piece is titled "Where No One Has Gone Before.” This piece features the USS Enterprise-D from Star Trek: The Next Generation. 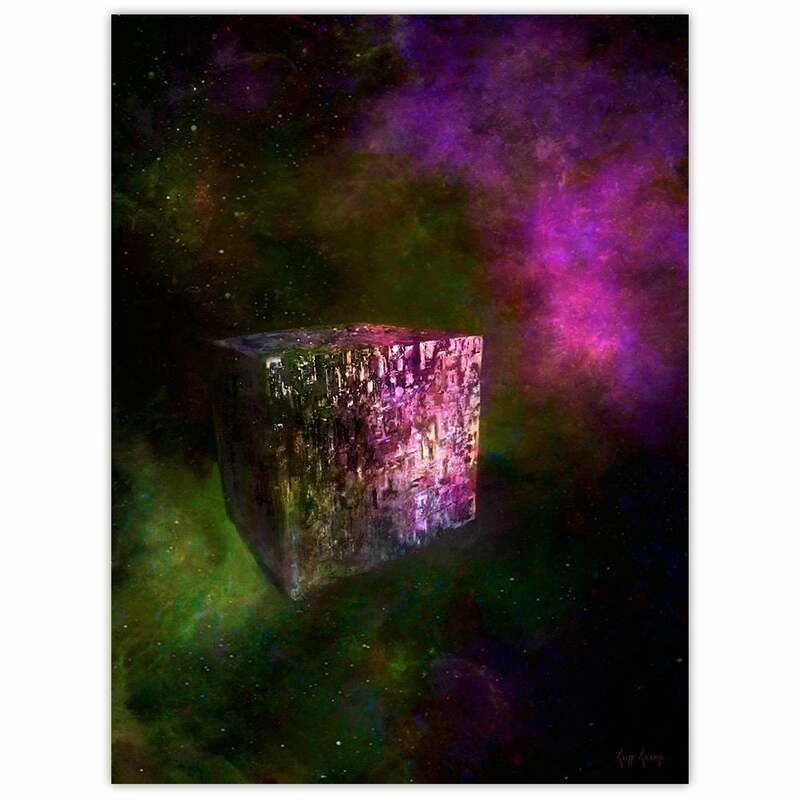 The third image is titled "Resistance Is Futile" and features one of the Borg’s intimidating cube ships. Keep reading to see each print. Collectors who purchase the complete set of all three of these new prints a 6x9 autograph card hand signed by the artist as a free bonus gift. This card is itself another piece of art from Cramp, depicting a nebula and containing Cramp’s name, short bio, the print release date, the titles of these three paintings, the collectors’ personally purchased Limited Edition numbers handwritten, and the artist’s hand signed autograph. Keep reading ot see all three prints for yourself. What do you think of them? Let us know in the comments. The prints are all available now at the Bye Bye, Robot storefront. Star Trek: The Original Series and Star Trek: The Next Generation are both available to stream on CBS All Access and Netflix. New episodes of the latest Star Trek series, Star Trek: Discovery, become available to stream Thursdays at 8:30 p.m. ET on CBS All Access. "The first piece, featuring tones of emerald, gold, and terra cotta, is the 18”x24” print entitled: 'Five Year Mission' (hand numbered limited edition of 75 copies). The play of dark and light around the traveling U.S.S. Enterprise brings to mind everything that is yet to come for the crew of the original series." "The second work, showcasing tones of lavender, steel, and blue, is the 18”x24” print entitled: 'Where No One Has Gone Before' (hand numbered limited edition of 75 copies). The vantage point of the U.S.S. Enterprise against the planetscape and vivid surround of space gives a sense of anticipation for the adventures awaiting the Next Generation crew."